We understand, cleaning can be a hassle. Most adults spend 1 to 3 hours PER DAY on cleaning just to keep their house in top condition. However, things happen. Perhaps you had a really busy month at work and couldn’t spare the time to clean, or perhaps you got injured and cannot physically move around well enough to clean your house. Or even something like you are dealing with some stuff in your personal life that means you don’t have the time or mental energy to dedicate to cleaning. We understand, things can happen. However, when these things happen, your home can get out of control easily. Dishes can stack up, spills can remain uncleaned, debris and trash can get all around the floor and your house, and your carpet could become stained and musty. While you might be able to navigate around and survive, you will be a higher risk for illness and it will be harder to pick yourself up after something hard if all you come home to is a completely messy home, as opposed to coming home and your home being clean and refreshing to live in. No matter your reason, chances are it can be hard to recover from an extremely messy house. Hours of cleaning will need to be done to get your house looking in a decent condition, and you will need lots of expensive cleaning tools and products to finish the job. Not to mention if you are still suffering from an injury or a medical condition you could be simply unable to clean your home yourself, only piling mess upon mess up in your home, swamping you in a cycle of never ending filth. That’s where our premium deep cleaning services come in! We at Maid Zone Mobile offer a deep cleaning service that can take even the messiest house and turn it into a clean and easy place to live in! We will deep clean everything in your home, no matter how messy it is at the beginning. Even if your house is spotless, you can always use a deep cleaning because there are loads of problem spots that are almost impossible to reach without special equipment that we have access to and are more than willing to use to help you live in the cleanest home in your life! Give yourself a second chance and start fresh with a clean and revitalized living space that you can live in and go about your day! So if you’re interested in making your house the cleanest it’s ever been, without having to lift a finger, be sure to contact Maid Zone Mobile today. 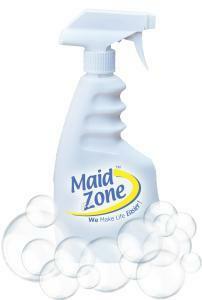 We are the best and most thorough maid service Mobile residents have access to. and we are more than ready to help you achieve all of your home cleaning goals, without you having to do a single thing! Schedule us when you’re at work, and come home to the cleanest home of your life! Call or click today for more information! The kitchen is one of the most sensitive areas because it is the place the food we eat is prepared. We do our best to keep our kitchens clean and germ-free with basic cleaning but we hardly give much thought to kitchen sanitation. You will be surprised to learn there are fewer germs on a toilet seat compared to a typical kitchen sink. 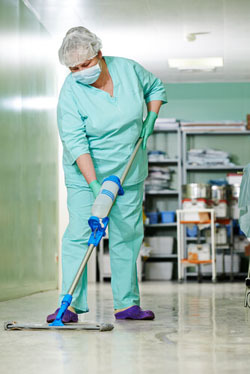 Therefore, it goes without saying that kitchen cleaning and sanitation is crucial to our health. Cleaning the kitchen is getting rid of the visible dirt and food particles from the surfaces using soap and water. On the other hand sanitizing is cleaning down to the invisible level and eliminating or reducing germs to safe levels using chemicals. We have sampled some of the effective cleaning solutions used in most leading restaurants and kitchens to kill toxic bacteria and germs hiding in kitchen surfaces. Germs and bacteria exist but they are invisible to the naked eye. Prepare your own homemade sanitizer by adding a few drops of liquid chlorine bleach (unscented) to one gallon of water. Grab a cotton cloth, dip it into the solution and use it to wipe down the entire kitchen surfaces. Allow the disinfectant to act on the surface by letting it sit for a few minutes then use a dry and clean cotton cloth to wipe it dry. Alternatively, you can fill a spray bottle with the bleach solution however care must be taken to avoid spraying the solution on the carpet and clothing decolorizing them. You can apply the solution on the exterior of the kitchen appliances and countertops to sanitize the surfaces. With our busy lifestyles who has the time to wipe down the entire kitchen surface inch by inch to kill all the bacteria and germs? The kitchen sink is a haven for germs and bacteria. The drain is full of pathogens from the all the vegetables and meat we wash in the sink. Once you do the dishes, clear any food particles from the sink. Plug in the sink stopper and fill the sink to the brim with hot boiling water. Pour ½ a cup of bleach per gallon of water and swish the solution around before allowing it to sit for a couple of minutes. Remove the stopper and allow the solution to run down the drain eliminating all the germs and bacteria building up down there. Finally allow the sink to air dry. Kill the germs and bacteria growing on your kitchen sponges by microwaving regularly for at least 2mins. Ensure the sponge is wet and does not contain any metals otherwise it could cause a fire. Old dirty dishes, raw meat, vegetables, trash and dirty hands make the kitchen a breeding ground for germs and bacteria. Use disposable gloves anytime when handling raw meat, eggs, seafood, and poultry, doing dishes or taking out the trash. 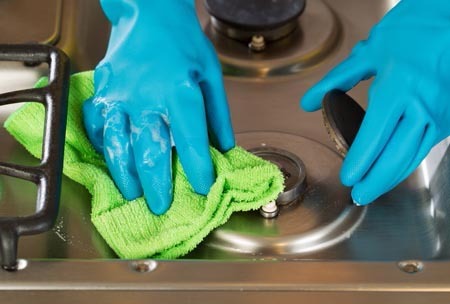 Use disposable wet wipes to quickly and conveniently sanitize surfaces including countertops, cabinets, tables, fried door and faucet handles, stoves, sinks etc. Always wash your hands thoroughly before and after food preparation or taking out the trash. Prevent cross contamination by separating food to stop the spread of bacteria and germs from one food to another. Clean the food preparation areas completely after every use and have designated cutting boards. Remember you can only keep your kitchen sanitized if it is clean in the first place. Involve the entire family in the daily and weekly kitchen cleaning schedule. According to this commercial cleaning service in Winnipeg the kitchen is the ideal breeding ground for germs and bacteria but with proper cleaning techniques and equipment, you can make your kitchen clean and safe. The deck is the perfect extension for your home during the season of summer. Using clever interior design and beautiful accessories your deck can be transformed into an ideal outdoor room. 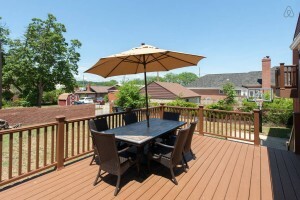 During summer, you can enjoy a nice barbecue, cup of coffee or a refreshing drink right on your deck. Nothing beats a night under the stars on your beautiful deck. However, before you can begin to enjoy all your deck has to offer it is important to have it cleaned. Spring cleaning your deck will not only make it more pleasant but also durable. It is a worthwhile and rewarding effort that offers you an inviting place relax and hang out with your friends and family. Begin by clearing the deck of all the planters, furniture and the rest of the accessories. Next sweep the deck thoroughly using a broom or blow off the accumulated grime and debris during winter using a leaf blower. Use a plastic sheet to cover the adjacent plants to protect from coming into contact with the harsh deck cleaning agent during the cleaning exercise. Grab the deck cleaning agent whether homemade or conventional. Make sure you use powerful household ingredients for your homemade cleaning agent that can act the grime and spots on your deck effectively. Water and detergent are normally enough to get the job done, however if you are concerned about dealing with mildew then consider adding bleach or hydrogen peroxide. 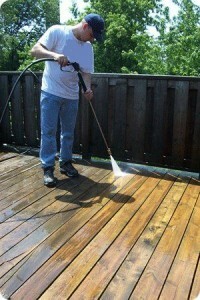 Fill a spray bottle with the cleaning solution and apply it all over your deck and allow it to sit for 15mins. Cover the entire deck surfaces with the cleaning agent including the stairs and rails. It is recommended to do this on an overcast day to avoid the direct sun. Based on how dirty your deck has become and the effectiveness of your cleaner you should be able to wash the deck using a brush and some elbow grease. Use a strong synthetic brush that will be able to withstand the cleaning solution and scrubbing. Next, use a pressure washer to thoroughly rinse the deck and remove dirt completely. Begin from the edge near the house and move outwards to rinse off the cleaning solution. Be carefully not to use too much pressure that can end up damaging your deck boards. If you do not have a pressure washer then you can attach a nozzle to your hose and do the same. Finish rinsing and allow the deck to dry out fully. This is the best time to seal your deck so go for it. Get your outdoor furniture, planters and accessories back and call your friends and family for a party. According to this house removals companies in Bournemouth a clean deck is the perfect welcome to a new home. 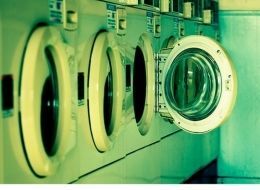 When doing laundry using a washing machine there are several techniques you could apply to help save energy. We have outlined the following tips to help you use less energy and achieve efficient results. You do not require very high-temperature settings for home laundry. Set the temperature at 50 degrees Celsius, this temperature is perfect for both warm and hot washing cycles and saving energy. Presoak clothes that are highly soiled before washing. Most of the times we mostly under-load the washing machine instead of loading it to capacity. Get the exact loading capacity of your washing in pounds and figure out the amount of laundry that would weigh say 15 or 22 pounds. Determine what volume corresponds to a load of clothes. It will take more energy to wash 2 loads of clothes compared to washing one big load using a moderate setting. The washing machine’s suds-saving feature is a great way to save water when washing clothes that are lightly soiled. The water used for the first load can be used a second time for the next. This feature is only ideal if the next load is to be washed immediately. Separate out clothes of similar types when it is time for drying. For example separate bath towels and other clothes made from natural fiber that take a long time to dry from lighter synthetics that dry fast. Avoid excess drying of clothes to minimize the need for ironing by removing the clothes with just a little dampness. Ironing will consume even more energy. Use the automatic dry feature if it is available for your dryer rather than the time to save energy. The 120 volt stackable washer dryer has excellent features for saving energy. Avoid mixing partly dried clothes with wet ones when drying clothes to save energy. Dry two loads of clothes simultaneously to utilize the heat available from the initial load. For maximum dryer performance ensure the dryer filter is periodically cleaned after every use to avoid clogging which blocks normal flow. Load the dryer to capacity but ensure you do not overload it with clothes. It is a waste of energy to dry clothes in small loads. Load the dryer in a way air can freely circulate through the drying items. Ensure that the exhaust vent outside the dryer is clean and its flapper moves freely. Whenever the climatic conditions allow, make use of the natural and free energy from the sun to dry clothes by hanging them outside to save energy! Spring-cleaning is a term used to refer to periods of the year when homeowners carry out deep cleaning of the house in order to give their living space a refreshed feeling and in preparation for the arrival of guests over the holiday period. This means that for most people spring-cleaning is done twice a year. Many undertake spring cleaning activities as though it is a major military operation. 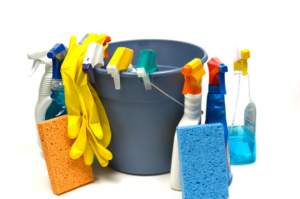 If you however maintain a regular cleaning schedule, there are a few ways you can get the more intense work done easily and soon enjoy the clean feel of spring-cleaning. Even with regular vacuuming, dirt and dust will with time become deeply embedded in the deepest fibers of carpets and rugs. It is necessary that you have them thoroughly washed at least once a year, especially after winter when dirt and dust has been confined to the room for extended periods. Hiring carpet cleaner is simple enough, but the type of shampoo you use and washing techniques that should apply will depend on the type of carpet you have. The easiest option is to simply hire a cleaning service with years of experience in carpet cleaning. They will first visit your home to determine the type of carpets and rugs you have and would provide you with a quote of the recommended services you will need. For exposed flooring, be sure to reapply wax or sealant in readiness for another year of wear and tear. We’re from San Francisco, and we know that when it comes to house cleaning San Francisco companies all claim to be the best, but we’ve found that Maid Complete really does to a good job. I know they have locations in a lot of other major cities including Denver and Phoenix, so if they service your area definitely check them out. It is not always necessary to have to wash your drapes, but it is a good idea to shake loose as much accumulated dust off them as you can. An easy way to do this is to take them down, remove the hooks and run them through an air-fluff cycle in your dryer with a damp towel. This should take about 15-20 minutes, after which you can immediately re-hang them. If you have blinds, wipe over them with a clean damp cloth. Make use of the smaller attachments to your vacuum and get into all the nooks and crevices of your furniture to vacuum out any trace of dust. Also, run your vacuum over the cushions and pillows to help draw out dust particles that have sunk deeper into the fibers. As you do this, make a note of any spots or stains in the fabric that you will need to go over again with suitable cleaners. Take time to also run your vacuum over corners of the floor and ceiling, and behind furniture that is against the walls. These are areas where dust can pile up and cobwebs accumulate out of sight. For more info on cleaning upholstery click here. When it comes to spring-cleaning the kitchen, it has to begin by getting rid of old food. Empty out your refrigerator of all its contents. If there has been an ice buildup, allow this to defrost completely. Wipe down all the surfaces with a mild disinfectant cleaner. If there is an odor clinging to the interior of the refrigerator, place a bowl of white vinegar inside for a few hours to draw out the disturbing smell. Also empty out the pantry and get rid of any foods and spices hat are past their expiration date. Also, wipe down all the shelves of any dust and spillages. A change in season often denotes a corresponding change in attire and bedding. Before you put away winter blankets and jackets, be sure to thoroughly wash and dry them out before storage. Remember when changing out your winter bedding to run a vacuum over the mattress. This can help cut down on the amount of exposure to dust. Also make it a habit to flip your mattress over each time you make the bed to increase its life. Alternate between flipping it over end over end, and side over side. If you like this please share it on Facebook! Check out our other posts here. Cleaning chores can feel rather tedious, but are necessary in order to ensure a healthy environment for you and your family. The best way to get through it all is to work efficiently. With proper planning, you can cut down on your overall cleaning time and enjoy more free time to do the things you enjoy. Many people make the mistake of starting their cleaning chores by vacuuming or wiping the floor. This is a bad idea as when you eventually get to clean items that are at a higher level, it will result in some dirt and dust falling and dirtying up the floor again. Always start cleaning from the highest level possible and work your way down to avoid doubling the work. When it comes to scrubbing down bathroom tiles, tubs and sinks, it is a good idea to let the cleaner soak in and soften the scum and other dirt. This will mean applying less force when scrubbing to get the surfaces nice and clean. You can spray the surfaces with the cleaner and perform some other tasks, like sorting laundry or loading the dishwasher, before coming back to scrub. Using less effort means you can get this task finished much faster and enjoy a comfortable and clean bathroom. The less dirt and dust you have accumulating in the house, the less work you will have to do cleaning it up. There are many ways you can limit this exposure. Putting out dust mats at your door, and having your family and guests leave their shoes outside is a good way to limit the amount of dirt and dust that is tracked into your home. Checking on gaps in the doors and windows that would let in dust carrying drafts is another good idea. If you garden, consider setting up a utility room right next to the door where you can wash off before going into the rest of the house. Many people get lazy about cleaning their brushes, rugs and even emptying out vacuum bags. When you are done using a cleaning implement, make it a habit to clean and dry it as well before putting it away. This will not only be a satisfying conclusion to your cleaning exercise, it will also mean less wastage of time when you next have to make use of the items. As most of you feel, the house that you live in is your personal heaven – the place where you spend quality time with your family, the place where you have parties with your friends and relatives, but also the place where you relax and enjoy at least a part of your free time. To have this perfect time however, you need to make sure that it is clean and everything can be found easily around the house. This is one of the most important things, not only because it’s about the need of hygiene, but also because this makes your life so much easier. There are some things that you can do around the house, to make sure that it’s cleaner and with a better organization. You don’t have to clean and scrub everything everyday, but a few tips and tricks about organizing your stuff might help you a lot in your everyday life. Here’s what you can do about this. Yes, boxes – this is the first thing that you have to think about when considering a serious house cleaning process. You definitely have plenty of things around your house that you don’t necessarily need to keep in sight. Use bigger boxes to store those things that you certainly don’t use – old toys, old clothes or other things that you find useless. If you don’t want to keep them anymore, you can take them to special stores or you can donate them, if they’re still good to be used. For those items that you don’t want to throw away, box them in and store them in your storage area. If you arrange them in a nice order, you will definitely know where your things are and you will reach them very fast. Sometimes, the house has an unclean aspect because there are also a lot of things around your house. All you have to do is sort them out and decide what to keep and what to throw away. It’s the easiest way to de-clutter all your house – not only this will give you more space, but you will also be able to keep a clean house for a longer time. When you decide to do this, you can start with your dressing. Take out all the clothes and everything you have there and decide what to keep and what to store away. The easiest rule that you have to follow is this one – if you see something that you haven’t used in the last year, then you have to throw it away or donate it. If you decide to do this, take a box and simply deposit everything there. Decide what day of the week you have a little more free time available to clean your house. You don’t have to make everything in that day, but you can still vacuum all the rooms, dust the furniture and wash your clothes. Gathering all the clothes and putting them in the washer will definitely make your house look cleaner, as everyone is used to leave things outside the dressing or throw them on a chair. You can also clean your kitchen and your bathroom, along with whatever else you can do during that day. It may seem harder at first, but you will surely notice that every week will be easier to clean the house, and maybe you will even be careful in the future with what you do with all those things that you have there. House cleaning is a process that should be done regularly, because it’s essential for your lifestyle. 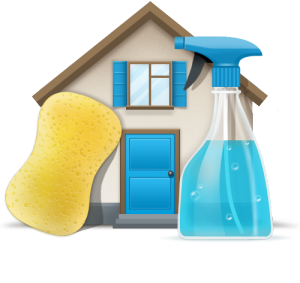 A house that is not clean is a source of infections, and this can lead to severe health problems for you and your family. To avoid all this, it’s better to act as soon as you have time for keeping your house clean and clutter free.